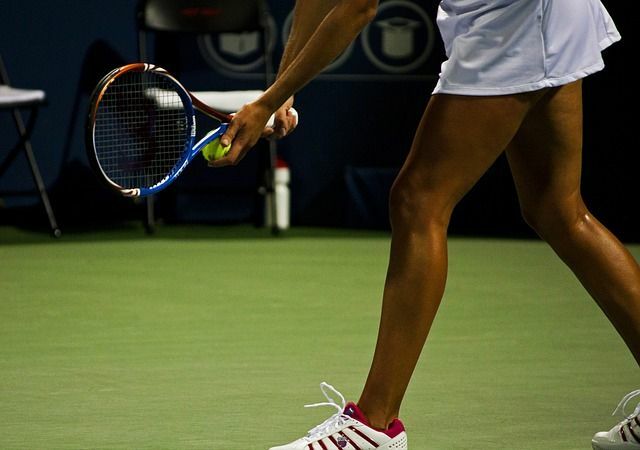 Have you ever wondered how to bet on tennis? We’ll answer this question on our tennis betting guide. 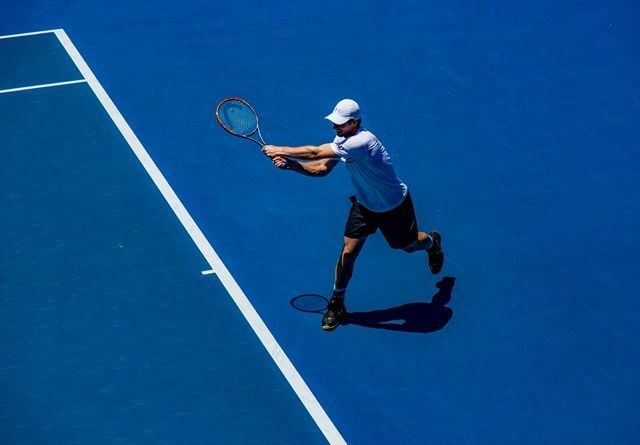 We’ll provide our best betting tips, best Tennis events, the most popular Tennis betting markets and the best Australian bookmakers for betting on Tennis. Continue reading our How to bet on Tennis guide below. Australian Open – The Australian Open is the first Grand Slam on the Tennis tour. It’s played on hard court surfaces and the tournament is held in mid-January. Roy Emerson and Novak Djokovic are tied on 6 titles in the Men’s draw. Roger Federer is the current champion in 2017. Margaret Court owns the record for most Women’s titles at 11 and Serena Williams is the current title holder. Davis Cup – The Davis Cup is an International country competition played during each year. It was created in 1900 and the United States have won the Cup 32 times. Fed Cup – The Fed Cup is the Women’s version of the Davis Cup. It was founded in 1963 and the United States hold the record for most wins (17). French Open – The French Open follows the Australian Open on the tour. It’s played on clay surface and the Grand Slam starts in late-May. Rafael Nadal is the most successful Men’s French Open champion with 10 titles, including victory in 2017. While Chris Evert won 7 French Open titles and leads the Women’s side. Wimbledon – Wimbledon is known for its history and prestige on the Grand Slam tour. Players only wear white clothing and the tournament is the only grass court Grand Slam. In 2017, Roger Federer became the first Male tennis player to reach 8 career titles. Martina Navratilova is the most successful Women’s player at 9 titles. In 2017, Garbine Muguruza defeated Venus Williams for her first title. 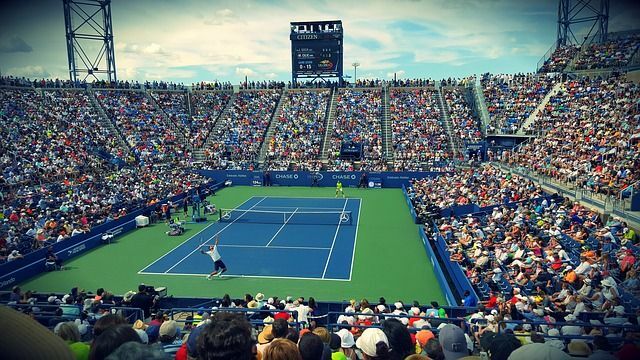 US Open – The US Open is the last Grand Slam on the tour and is also played on hard courts in New York. On the Men’s side, three American players hold the record for most titles at 7: Richard Sears, Bill Larned and Bill Tilden. Stan Wawrinka broke through for his first title in 2016. Molla Bjurstedt Mallory has won the most Women’s US Open titles. While, Angelique Kerber is the current Women’s title holder at the US Open. Olympics Tennis – Tennis is a popular sport at the Olympics and is played every four years. The Olympics have a draw for Men’s and Women’s singles/doubles. In this section, we’ll review the most popular Tennis betting markets available. Bet on the winner in a Tennis match. This is a popular betting option for the underdog, odds over $1.50 for a favourite and multi-bets. Tennis set betting is a market for the correct amount of sets a match will finish in. Betting on straight sets is a suitable option for the favourites, especially early in a Grand Slam. Betting on the handicap is available for Tennis matches. The handicap is an ideal bet choice for betting on the favourites in the early rounds of a Grand Slam. Otherwise, the handicap is a suitable bet for picking an underdog that may not win but will play a close match. The total games bet is the number of games for a Tennis match. The bet can either be an under option or overs. The under is recommended for Tennis betting on favourites that will most likely win via straight sets. While the over option is better for even matchups and later in Grand Slams when longer sets are more common. Placing a multi in Tennis betting is a great option for achieving value odds. A multi can be selected for all Tennis bet types, such as head-to-head, set betting, total games and handicap. The multi-bet is an ideal option during the early rounds of a Tennis Grand Slam when most favourites are at low, head-to-head odds. This section will provide the best Tennis betting strategies. Venue / Surface record – The venue record is critical for Tennis betting on Grand Slam tennis. A player such as Rafael Nadal is the best player on Clay surface but on other surfaces, he isn’t as good. Form – Researching the form of a tennis player is a key Tennis betting strategy. Before a Grand Slam tournament, the lead-up tournaments will provide a sneak peek into the form of a tennis player. Head to head record – The head to head record between two players is another important Tennis betting strategy. If a player has a dominant record against their opponent, this will help predict the match outcome. Location – This strategy applies for home-town players in a Grand Slam. For example, an Australian tennis player is a better option in the Australian Open as they have the home crown on their side. Injuries – If a player is carrying an injury from their last match, their opponent is a better option. The following section will provide our review of the best Tennis betting sites in Australia. Sportsbet – Sportsbet have recently moved into the Tennis live streaming area and they would be our best choice for Tennis betting. With advanced betting products, cashout and a range of future markets, you can’t go wrong with Sportsbet. William Hill – They are our number one choice for Tennis betting online as they provide the best promotions, especially for the Australian Open. They allow for betting on the number of aces by a player in a Tennis match and the promotion is very popular among Australian punters. In addition, they have a BuildABet feature for Tennis matches and customers can create a custom market per match. As well as providing a huge range of tennis markets for Men’s and Women’s tennis around the world. William Hill is a great choice for Tennis betting. Ladbrokes – The main reason for choosing Ladbrokes for Tennis betting is price boosts. For Grand Slam finals and popular Tennis matches, they’ll offer a “Bet Blast” which will increase the odds for a selected bet. This can include: boosted odds for the favourite or better odds for a straight sets win.